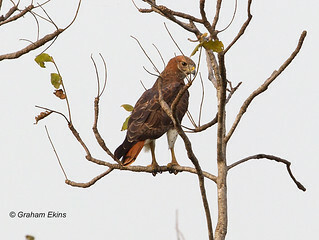 We saw this species in the dry savannah in the north of Ghana. Sometimes soaring overhead or quietly siiting in a tree, often near a waterhole. They are found in Sub-Saharan and w-central Africa. 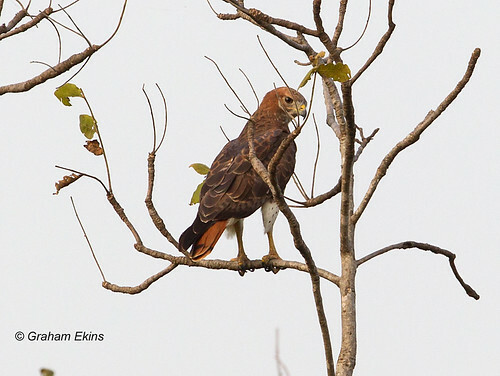 This adult was seen near Busunu en-route to Damongo in the north of Ghana on the 21st November 2015.